I hope you are all well and able to enjoy this Wednesday blog hop around the crafty workdesks of the world. If you are not sure what this is all about, just follow the link to Julia's Stamping Ground and join in. There are lots of happy, crafty, bloggers around the world just waiting for you to check out their Wednesday work space! The fabric was from Abakhan and the little needle-felted brooch is one that I made last year. 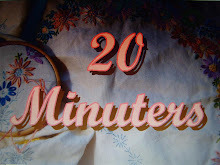 Annie also made a bag - check out her blog..
"A stitch in time" if you want to see the funky fabric she chose for hers and her finished bag - it's really fab! Not much else happening on my workdesk at the moment. 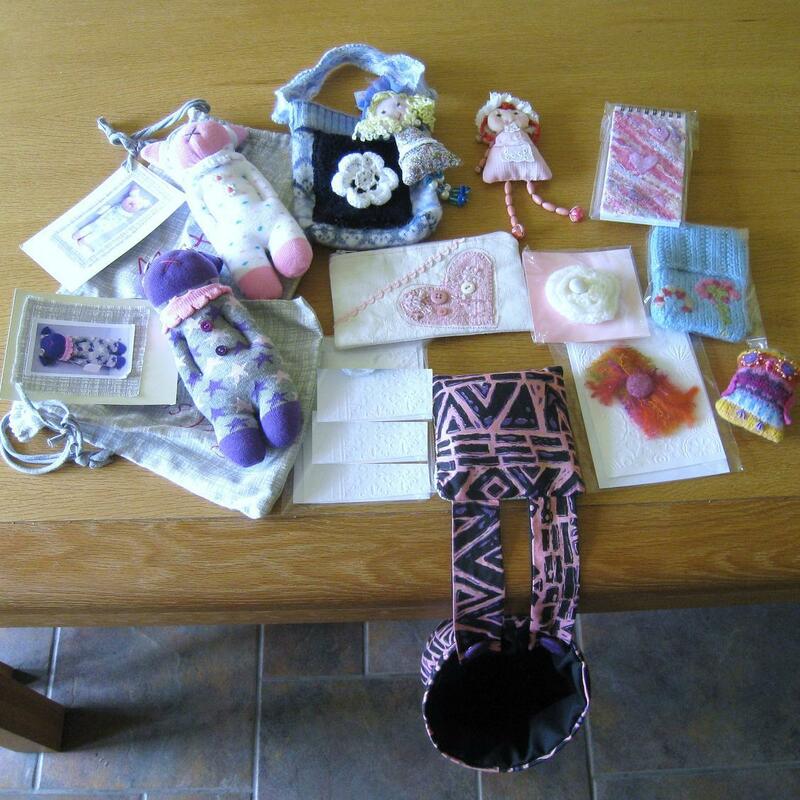 I did sort out some of my crafty goodies to send to one of our blog friend's charities that they support. Thanks for calling by my blog and for leaving such kind comments. 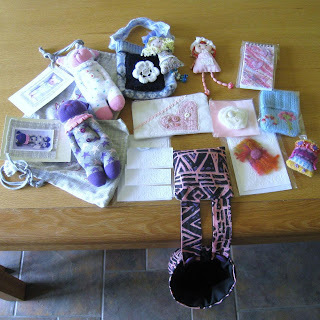 LOVE the bag you made, and how kind of you to also send goodies to Muffin's Dream Foundation. I've been over to their Facebook page just now and what a worthy cause. Anything to do with children tops my list. I'm just about to decide what to wear to meet up with Annie today - should it be Giggling Gear or my Smiley Suit. Love that bag, btw, and good for you to send all that stuff off for a very worthy cause. Feel good factor! A Perfection in Pink! Your bag is delightful. Just seen Annies so dashed over to see you and yours. What a couple of brilliant stitchers you two are. I loved the photos of the "dressing up session" with the clothes you made for the twins. Oh to be able to sew like you do. Loving the bag, great colours and like the metal rings for the strap to thread through. It IS a fab bag Mrs Twiggers, you must be really pleased with it. Love your generous donation..the children will get masses of fun, for sure. I love that bag, Jo. It is just perfect for a seamstress. Pretty in pink. Am I showing my age with that movie reference? I've actually never seen the movie, but I remember the title. You are so generous. Always doing something for the poor unfortunate children of the world. Bless you. Happy WOYWW from #1. Oh what a wonderful lot of goodies you are sending off to charity.. Love your bag the colours are so pretty. I am not a pink person but that bag is really beautiful. You have been busy working for charity, good for you, they are all lucky to have your work. What a lovely bag, are you keeping it or giving away or selling it? someone will really be happy using that. Ah wonderful Abakhan,haven't been there for a while, need a visit. Hi Jo, I'm back blogging. Got a lot of posts to catch up on. Oh yet another beautiful bag! Also what lovely stuff for the charity! Love your bag and the colours are lovely. Gorgeous bag there. Very jazzy fabric. You are so kind with all these charitable causes. You both made beautiful bags. I love them both. Yes, love the bag - all good. That bag is beautiful Jo, especially the thick straps. It’s looks like that would comfy on the old shoulders. Beautiful bits for the charity too! your bag is soooo pretty and the colours are lovely. What a sweet little bag - love the turned down corner detail! Such an unusual bag design and you've both made a great job of it. Those are lovely things to send to the children, you are kind. Love the bag too, is Azkaban a place or a shop I wonder? Wonderful bags, everything you and wipso create always looks beautiful. Have a lovely week. I love the bag - and what a super pile of goodies to pass on for charity. Great. Your purse is very cool. Those little bits that you are sending to your friend for charity look like fun too. Got a kick out of the thought of you saving the soap wrapper when you were little. My Mom tells me she was like that too! Well I save cereal boxes for the cardboard..no sense throwing good stuff away if you can use it! Lovely of you to share your wonderful craftiness too! 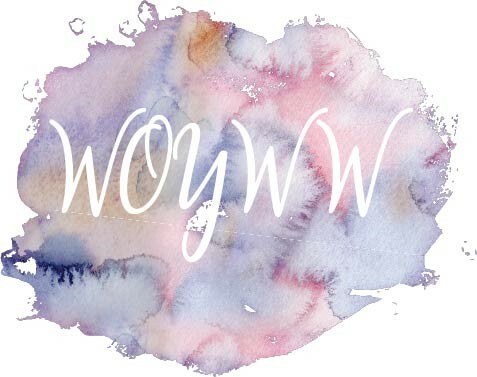 Happy WOYWW! Jo i cant thank you enough for all the goodies you sent to Charlotte for the children at Muffins Dream im sure they will brighten up there Hospital stay......she was well made up and I'm very thankful.